Washed/wet-processed coffees are known for their brilliant cleanness. They allow the flavours of the coffee to shine, whether it’s sparkling acidity or a rich, creamy body. But that’s only if they’re dried slowly, evenly, and consistently. Mistakes in the drying phase can lead to fermentation, mouldy flavours, and even a prematurely aged, faded cup profile. 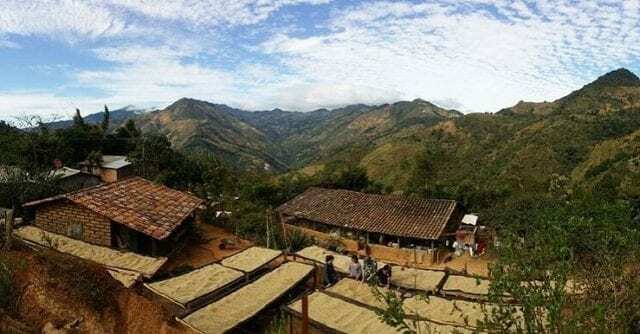 I reached out to Alejandro Cadena, Founder of Caravela Coffee, a vertically integrated green coffee sourcer, to find out his recommendations for drying washed coffees. Here’s his advice for ensuring quality in the drying phase. Spanish Version: ¿Cómo Mejorar la Calidad al Secar Cafés Lavados? Why Is The Drying Phase Important? The drying process is when the moisture content in coffee beans is reduced to just 10–12% from 45–50%. In washed processing, this will occur after the cherry flesh has already been removed; in dry/natural processing, this will happen while the seeds, or beans, are still in the fruit. Alejandro explains that this phase is critical for flavour development. It’s at this point that sugars are preserved and, through the use of good practices, we can avoid something called oxidation. And oxidation is something that you want to avoid. 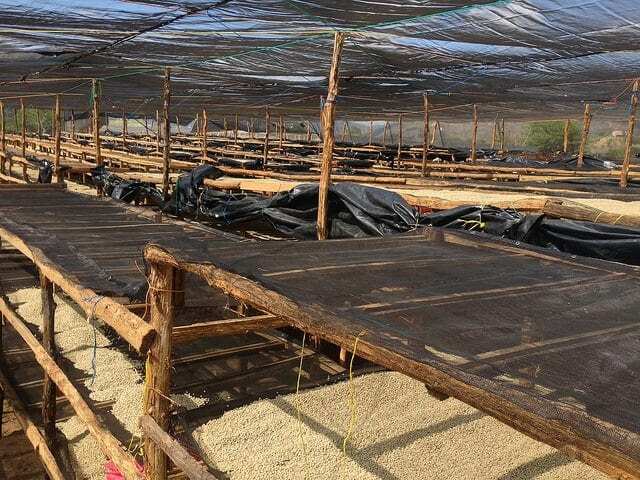 According to Cenicafé resources, oxidation in coffee drying affects the lipids, or fat molecules, that are crucial for determining coffee quality. Oxidising lipids in green coffee beans generates aldehydes and ketones with unpleasant odours. 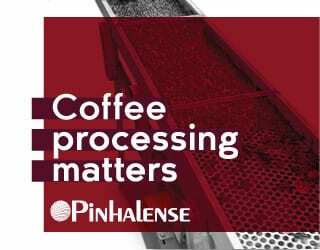 Yet it’s not just the coffee flavour and aroma profiles that are affected by drying: it’s also the coffee longevity. Alejandro says that green coffee beans can last up to a year – but if the drying phase was mishandled, you might find a coffee tastes faded and aged after just a couple of months. Alejandro tells me that evenly drying the beans is key. This will ensure consistency in the cup by making sure that all of the coffee has the same moisture content. There are several important elements to achieving an even drying. Alejandro emphasises that environmental variables shouldn’t be overlooked, especially temperature and airflow. If the temperature isn’t controlled, he continues, the coffee will dry at different rates. For example, during the morning the sun might be shining and the temperature high, only for there to be rain in the afternoon. This can create a risk of mould. You can identify the risk of mould through something called total water activity; this measures the amount of water in a food item that isn’t bound to a food molecule. (Note: this is different to moisture content – it’s about the moisture’s energy rather than its presence.) Water activity is measured on a scale from 0 to 1, but Alejandro recommends that green coffee should be between 0.5 and 0.6. He advises that washed or wet processed coffees will have a moisture content of around 45% at the start of the drying process. At this point in time, he tells me, a maximum temperature of 20°C/68°F maximum is best due to the beans’ fragile cell structure. As the coffee dries, the temperature can increase up to 35°C/95°F maximum. However, any more than that could damage the coffee bean’s embryo and break the parchment. Another point to consider is airflow. If the beans are drying while exposed to the sun, this isn’t an issue. However, if the beans are covered – which is particularly common in countries like Colombia, Ecuador, and Peru – a lack of airflow will increase the temperature inside the drier and prevent moisture from escaping. The hot and humid environment this creates could then lead to mould. Alejandro recommends using a thermohygrometer, which can measure the temperature and humidity in the air. When setting up your drying space, the first point to consider is which technology to use: patios, raised beds, plastic, or mechanical dryers. Alejandro tells me that it’s important, if producers use mechanical dryers, that they understand the thermodynamics of the bean. He tells me that many producers dry high quantities of coffee and, as a result, the drying is uneven. Patios, he tells me, are not recommended because there isn’t enough airflow and therefore drying occurs by temperature alone. As a result, drying is seldom very even. He has found that patio-dried coffees can remain in good condition for up to 6 months but that, after this point, the quality of the coffee decreases by around 4 points on the cupping table. Some producers like to dry coffee on plastic, but he tells me that the whole point of drying coffee is to remove moisture from the bean. This moisture can get trapped in the plastic and remain in contact with the bean, damaging both its flavour and longevity. He’s tested drying coffees on plastic and compared it to alternative methods, and tells me that it led to a 5-point decrease in cupping scores. Raised beds, however, he does recommend: he tells me that they allow for airflow through the beans and for the moisture to decrease smoothly and evenly. If using beds, patios, or plastic, Alejandro reminds me that it’s important to consider how you’re laying out your coffee. He recommends very thin layers, no more than 3cm tall, and constant movement to ensure airflow. 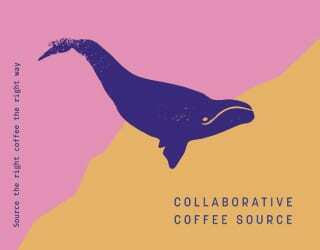 It would be ideal, he tells me, to have a layer that’s just one coffee bean (or cherry, for naturals) high. However, this would take up a lot of space that producers may not have available. As a result, constant movement of the coffee is key. What’s more, he advises that producers don’t mix varieties. Different varieties tend to have different densities, he explains, and therefore they dry at different rates. It’s also important to not mix lots from different days. Not only will they have different levels of moisture content, but some of that moisture could be transferred from the more recently picked and washed beans to the drier ones. In turn, that leads to high water activity and oxidation. 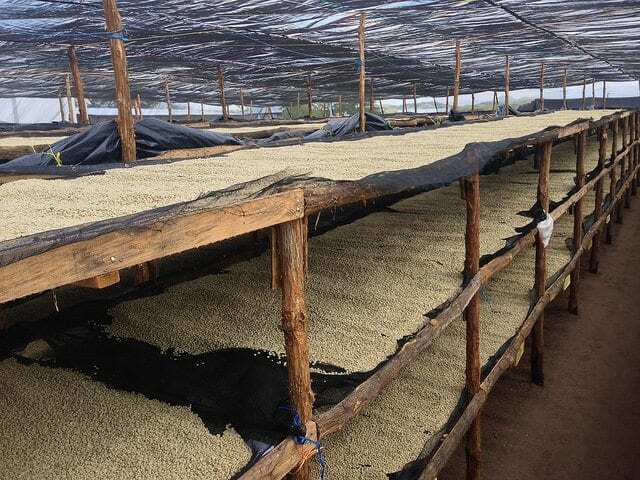 When working with producers, Alejandro always recommends a three-stage “drying curve”. He tells me that it creates consistency and allow producers better control over the process. It’s worth noting that, depending on local climates, these steps may have to be tweaked. 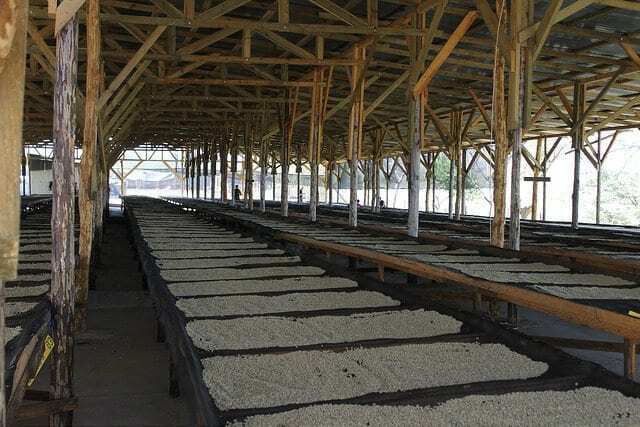 However, they are what Alejandro recommends for South and Central America and can serve as a base on which to develop a drying process in other regions. For the first three to five days, the washed coffee should be 100% shade-dried under zinc covers. During this time, the moisture content will decrease from 45% to 25%. It is the riskiest stage, with the coffee more likely to develop fungi, and so Alejandro advises that it is done as quickly as possible. He also emphasises the importance of a low temperature, so that the parchment doesn’t crack – and, of course, those thin layers with plenty of airflow. 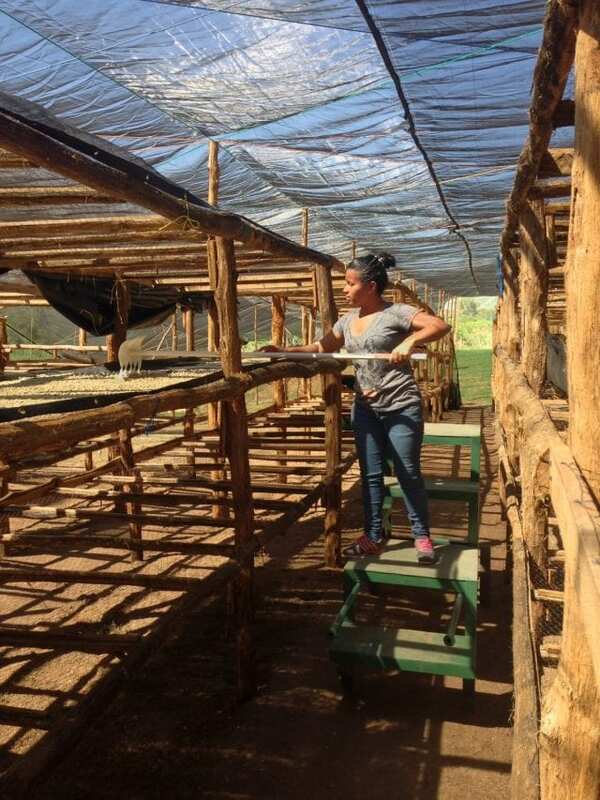 For the next ten days, Alejandro recommends a 40–60% shade cover using polythene netting (polisombra). During this time, the moisture content should decrease from 25% to 13–14%. 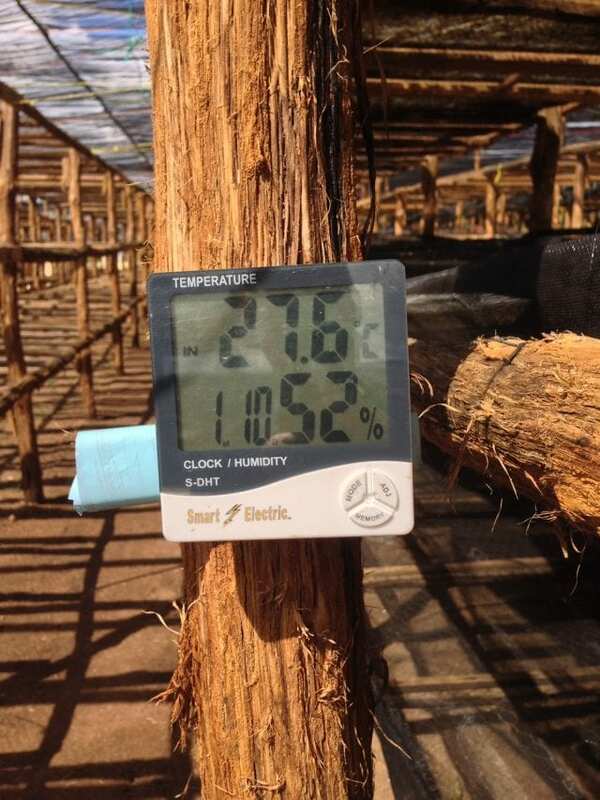 Although 10–12% moisture content is generally considered acceptable, Alejandro recommends total sun exposure for a further two days to reach 10%. The higher temperatures will ensure the heat reaches the centre of the bean, so long the temperature doesn’t exceed 35°C/95°F. Alejandro also suggests the use of three-tier driers (like in the photo below). Each tier will have a different temperature and shade percentage, while also saving space. The main aim, he emphasises, is for moisture content to decrease while temperature increases over time. 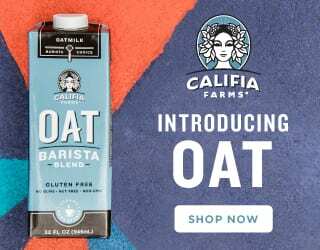 In this way, if layers are kept thin, the temperature is good, and there is airflow, washed coffee can be slowly and evenly dried over 15 to 20 days. 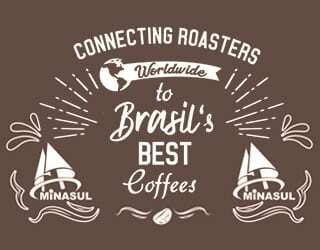 Producing specialty coffee means a never-ending focus on quality. From the planting to the harvesting, and the processing all the way through to the roasting and brewing, there are so many factors that can affect the final cup profile. And the drying phase is no exception. An amazing coffee, if poorly dried, will see its cup score drop. 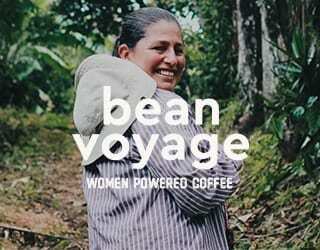 But a well-dried coffee – one that has been dried slowly and evenly under the right conditions – will shine in the cup. So remember: choose the best drying technologies available to you. Pay attention to temperature and humidity. Use thin layers. And dry your coffee slowly and evenly. 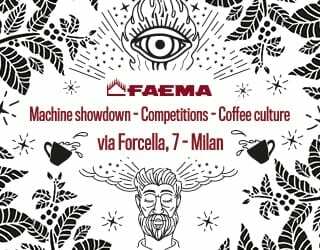 Please note: This article has been sponsored by Caravela Coffee.